The setting and architecture of our Campbellford chapel has character and history you just cannot build today. 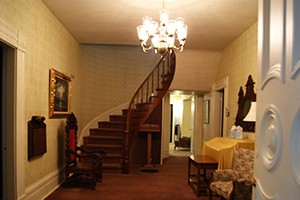 The new renovations were done to preserve the original architecture and increase the comfortability to our families. 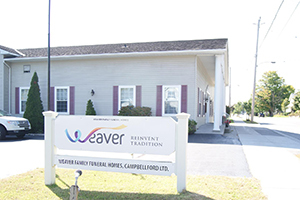 This is a very special place to us at Weaver's as it has been dedicated to the late E. W. (Al) Weaver, the founder of our Campbellford Chapel. 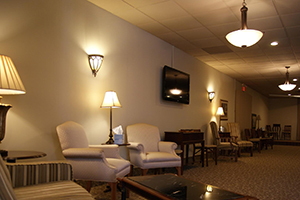 With seating for approximately 200 people and a public address system that allows overflow to listen in on the service from any room in the building increasing the number of people to approximately 400. 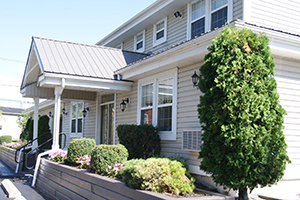 We have the accommodations to provide the largest of services for families that require the extra space. As well as having facilities for large groups of people, each one of our chapels has the ability to provide comfortable and respectful rooms for small family or private gatherings. Although never intended to compete with local church settings, our chapels provide a viable option for families who, for their own reasons, prefer the chapel setting. The family's choice of an organist or their own musical selections of CDs accompanies each service adding the final touch to the dignity of the service. 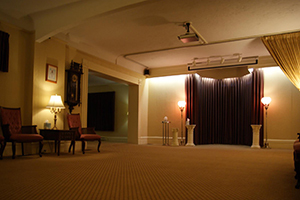 All four of our chapels allow the family to pay their last respects in dignity and peace behind our privacy curtains. Our former East Chapel, located at 29 Bay Street in Trenton, Ontario was renovated and constructed during the summer of 1996. We officially renamed it the Life Centre in June 2015. 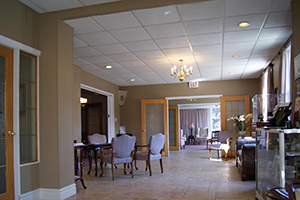 Our West Chapel, located at 170 Dundas Street West in Trenton, Ontario was originally purchased in 1945, by our founding Funeral Director, Ralph W. Weaver.